Oculoplastics is cosmetic, restorative and reconstructive surgery of the tissues around the eyes and eyelids, eyebrows, conjunctiva, the tear ducts and tissues of the eye socket. It includes the study of eyelid and eye tumors and their diagnosis and surgical procedure (ocular oncology). 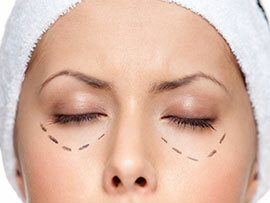 This surgery is performed by ophthalmologists with additional special training in plastic surgery. With age, the eyelids become loose, the skin sags and bags of fat are made prominent (dermatochalasis). Droopy eyelids makes people look older and tired. 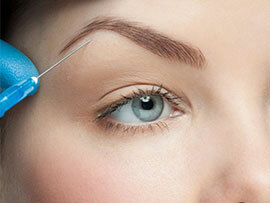 Surgery (blepharoplasty) is performed to remove excess skin and fat from the upper and lower eyelids. Often other techniques such as laser, botulinum toxin, collagen or hyaluronic acid are associated to optimize results. Learn more about cosmetic, reparative, or reconstructive surgery.